The office is not yet two decades old, a novel experiment in Britain’s capital rebuffed in many other cities since the start of the century. London, for obvious reasons, looms larger in British politics than its counterparts. Unlike many countries, Britain lacks a convincing second city, and so London continues to gorge itself on investment and immigration. The second factor it what has given the mayoral campaigns from Conservative Zac Goldsmith and Labourite Sadiq Khan an overt focus on identity only recently seen in British politics. 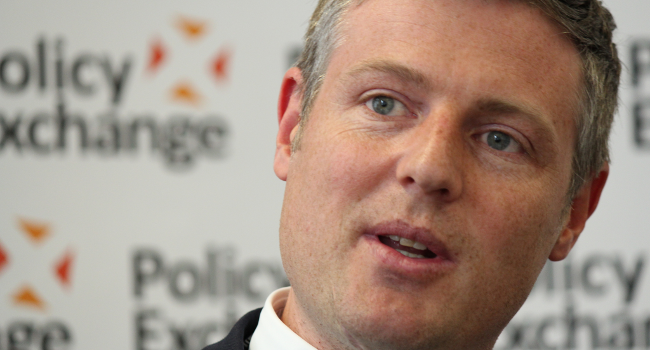 Goldsmith, an heir of the eponymous banking dynasty, is about as establishment a figure as one is likely to find, educated at Eton and married to that other banking family the Rothschilds. Khan, the son of Muslim Pakistani parents – his dad a bus driver and mum a seamstress – from Tooting in South London, is at the other end of the scale. Yet what was initially shaping up as a battle of the classes in a town steeped in inequality has instead fixated on a dispute around religion, and by proxy race. In the blue corner Goldsmith has attempted to draw attention to Khan’s links to Muslim extremists, mostly borne out of his work as a human rights lawyer and the chair of Liberty, a civil rights group. Chief among these links is the connection with Suliman Gani, an Islamic preacher who has been accused in the Sunday Times of having backwards views on homosexuality and women, and having campaigned for establishing an Islamic state during the Paris attacks last November. In a mayoral debate earlier this week the BBC’s Andrew Neil put it to Khan that he had shared a platform nine times with Gani, an allegation he did not deny even as he rejected the association. After these allegations were repeated by prime minister David Cameron in Parliament, the red corner shouted the comments down as “racist”, echoing a Times opinion piece from Labour MP Yvette Cooper earlier this month. What is more, Goldsmith has been sending out mailshots to Sikhs and Hindus (or at least those with South Asian surnames), hoping to imply that as a Muslim Khan would not represent their interests (see Private Eye Nos. 1415/16). This kind of debate about race politics has brewed over the last decade as successive waves of migration, much of it ironically white and from the EU, has brought the matter to the fore. Politicians of the right, many of whom are Kippers, have used fears of cultural decline among the white British working class to boost their popularity, so successfully in Ukip’s case that they nabbed some 3.9m votes at the last general election. At the same time, leftwing politicians, journalists and campaigners have become ever quicker to label criticism of Islam, or any kind of anti-migration sentiment as bigoted. Back in January Independent contributor Maya Goodfellow claimed that because of rising Islamophobia “even running the risk of stoking anti-Muslim sentiment is a morally repugnant, dangerous political trick” – in effect advocating a blanket ban on any criticism of Islam at all. That the Tories are more to blame for this should not be in doubt. The case for Khan being anything other than a social democrat is thin, as his former career and voting record on issues such as gay marriage ably demonstrate. At the same time the repeated attempts by politicians of both left and right to quell any protestation, or indeed, any debate at all on subjects like immigration and Islam’s relationship with extremism, have helped seal the lid on the pressure cooker. For London tactics like Goldsmith’s should not be endorsed with a vote, as the Conservative journalist Peter Oborne convincingly argued in a column this week. At the same time all politicians should do more to address legitimate concerns that the Tory campaign has exploited, and ensure this nonsense does not further stain politics. Previous Article← The Palace of Westminster is falling down, but does the public care?